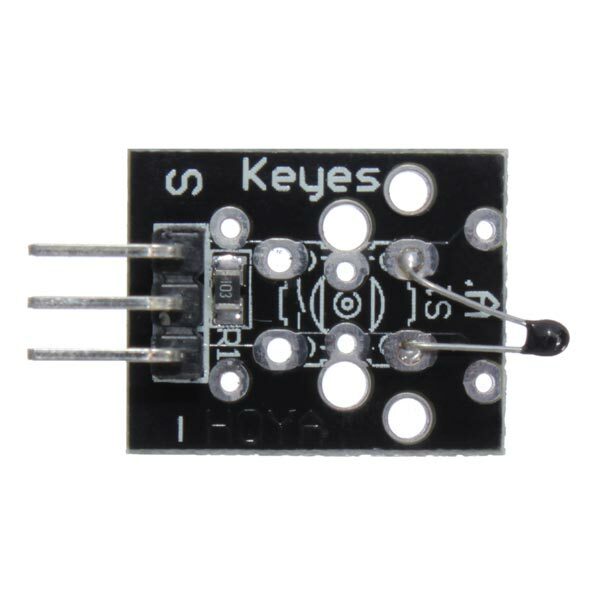 The KY-013 Analog Temperature Sensor Module uses a thermistor to measure ambient temperature based on the resistance of the device. Connect board’s power line (middle) and ground (-) to 5V and GND respectively. Connect signal (S) to pin A0 of the Arduino.